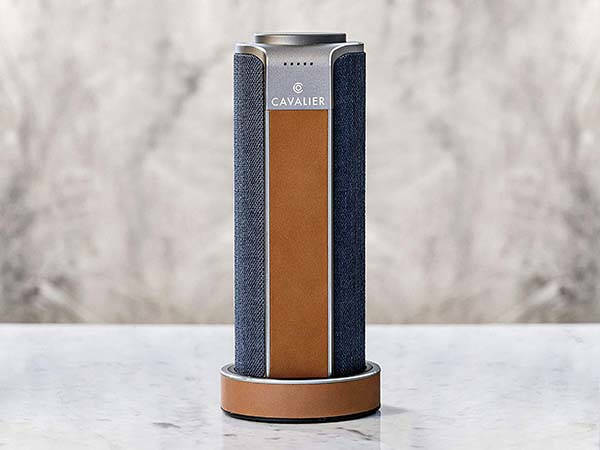 Cavalier Audio Maverick portable smart speaker not only plays your favorite music, but also brings lots of intelligent features wherever you go. Like the idea? Let’s have a look. The Maverick is a beautifully crafted and high-performance portable speaker that measures 10.2 x 7.9 x 5.2 inches and weighs 3.95 pounds. As we can see from the images, the cylindrical form factor delivers a modern and stylish appearance design defined by the navy blue fabric exterior, leather and metallic accents. Meanwhile, the compact and lightweight design allows you to take it with you for various outdoor activities. The Alexa portable smart speaker comes equipped with stereo drivers and dual passive radiators with 20W output in order to produce high-quality, room-filling stereo audio, and its multi-room audio allows you to use multiple Maverick units to create a powerful home speaker system. With built-in Bluetooth and WiFi connectivity, the wireless speaker streams your favorite music from your phone or your favorite music services like Spotify, Pandora, Amazon Music, iHeartRadio, TuneIn, SiriusXM and more. Its integrated Spotify Connect allows you to directly control your music playback via Spotify app. More importantly, Amazon Alexa has been integrated in the wireless speaker so that you can use your voice to remotely control your music playback or ask it to read news, check weather and traffic info, search answers from the Internet, order something, interact with other Alexa smart home devices and more. 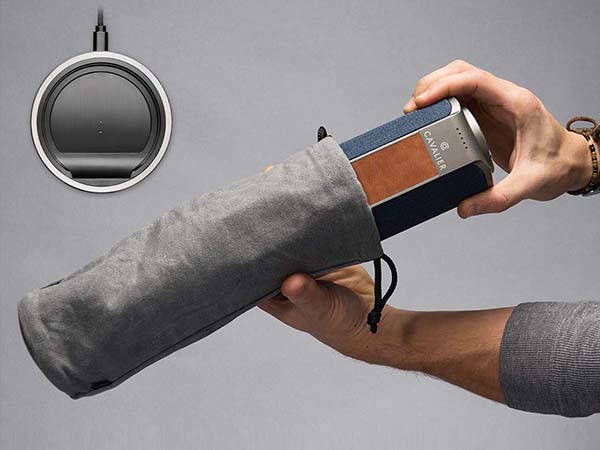 With the portable design, the smart speaker lets you enjoy the intelligent features wherever you go. 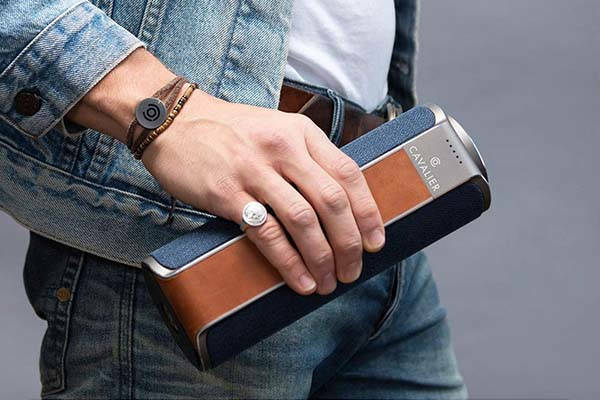 In addition, its built-in rechargeable battery offers up to 10 hours of playtime between charges, and a well-designed leather charging base with an included custom stitched USB-C charging cable charges the speaker in style. The Maverick portable smart speaker with Alexa is priced at $299 USD. If you’re interested, jump to the product page for its more details.